Large estate fountains are beautiful and make a grand statement in a home, but sometimes your space doesnt allow for such a large fountain. 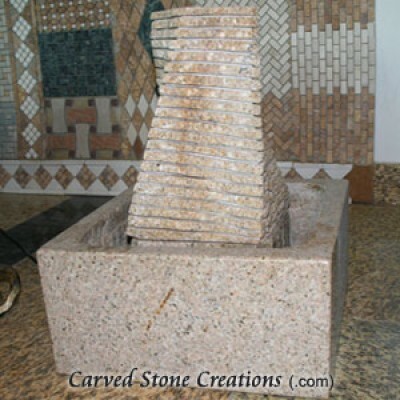 Just because you are tight on space, doesnt mean you cant have a beautiful stone fountain. Below are some fountains that work great in smaller spaces inside and out. Wall fountains work great in small spaces because they sit flush up against a wall and out of the way. 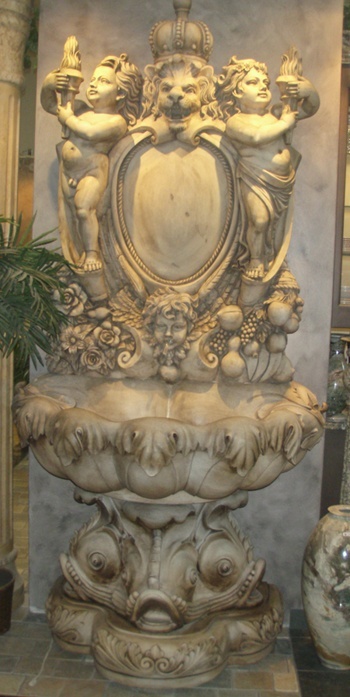 Depending on the style of wall fountain you choose they can work inside and outside too. Below are two beautiful wall fountain designs that prove that a fountain can still make a great statement in a smaller space. View more wall fountains here. Bubbling fountains come in various sizes. 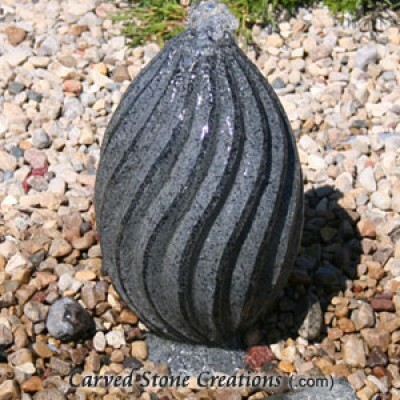 The smaller sized bubbling fountains are perfect for a garden that is short on space. With a small bubbling fountain you still get the relaxing bubbling noise you would get from a larger fountain without it taking up too much of your space. View more bubbling fountains here. Desk fountains can sit on a table or desk as an accent decoration. The relaxing sound of flowing water creates a naturally soothing and calming environment. The mesmerizing movement of the water over the natural stone is fun to look at too. Since these fountains are small enough to fit on top of a shelf, desk or table they stay out of the way in a tight space. View more desk fountains here. Floating sphere fountains come in many shapes. The pillar like shape that some sphere fountains come in is perfect for a tighter space. Since the pillar stands up tall and has a slimmer shape than a typical tiered fountain, it fits perfectly in smaller spaces. The mesmerizing flow of the water over the sphere is fun for you and your guests to look at too. Check out two beautiful floating sphere fountain designs below. View more floating sphere fountains here. 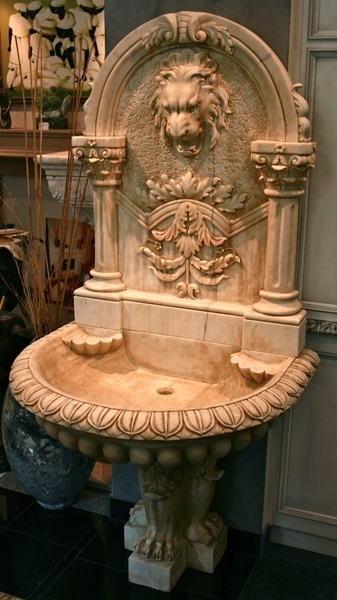 Wondering how a fountain will fit in your space? See your fountain before you purchase with our free Photoshop Presentation.